inscription: "TI" and an unidentifiable symbol printed in black at the bottom left of the image. Poster is printed on white paper. 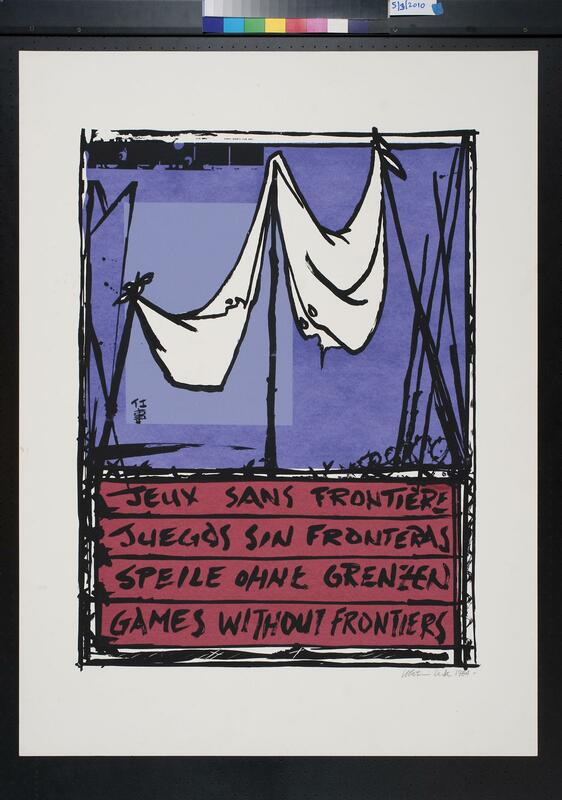 At the top is a stylized image of a white sheet being held up by black sticks, set on a purple background. 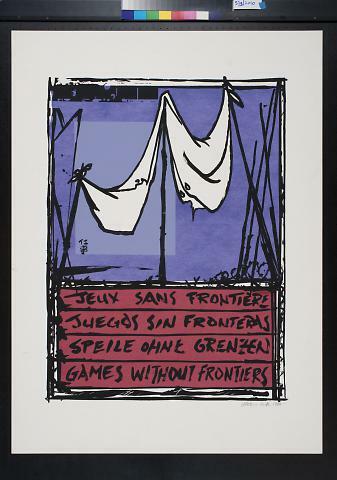 Below the image is a red background with black text in four languages with the English translation at the bottom: "Games Without Fronteirs".